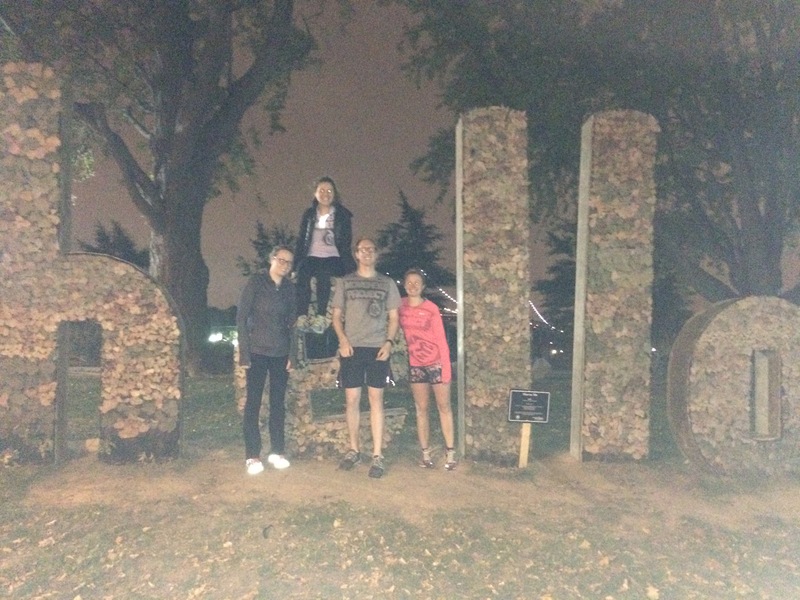 10/28/2015: Morning Workout, November Project, 5:28 a.m., Wards Island: Aggressive Dance Moves! Hey! Did you know the NYC Marathon is only four days away? Haha, you probably already knew that. But just in case you haven’t read a newspaper, seen an advertisement on the subway, or checked your Facebook feed lately: The NYC Marathon is ONLY FOUR DAYS AWAY! For many, the NYC Marathon means increased traffic in New York City. For others, the day has no special meaning. For me, it indicates the culmination of over a year of hard work returning to the sport of running, and a chance to participate in an event I never thought possible. So, when I lined up with the members of November Project NYC to take our post-workout group photo this morning, and half the members raised their hands when asked if they were running this Sunday, I realized just how many people are looking to Sunday as both the celebration of their hard work, and the beginning of the next chapter in their running stories. Run across the Wards Island Bridge and down to the East River footpath. Run back across the Bridge to the starting area. Run back across the Bridge. I covered about four miles during this workout, and spent my time talking to fellow Tribe members Rob, Jess, and Ian. I also spent a little bit too long on the aggressive dancing portion when John played “Rebel Without a Pause” by Public Enemy because, hey, who doesn’t love bouncing to Chuck D, Flava Flav and Terminator X at 6 a.m.? I also threw up more high fives today than ever before, in part because I could feel the collective excitement of the impending NYC Marathon. Amazing! Thank you, Liysa! And yes, those are aqua socks. 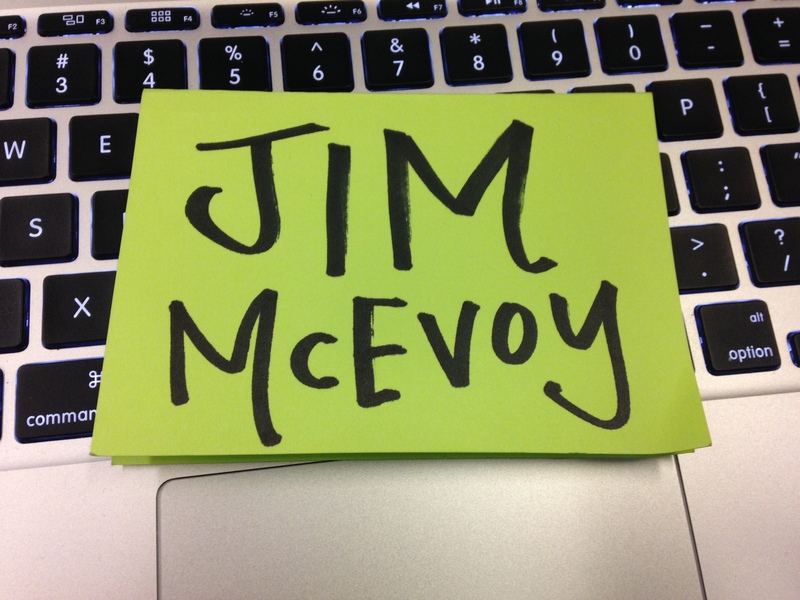 At the end of the workout, I received a good luck card from the Tribe, which was so thoughtful and wonderful! 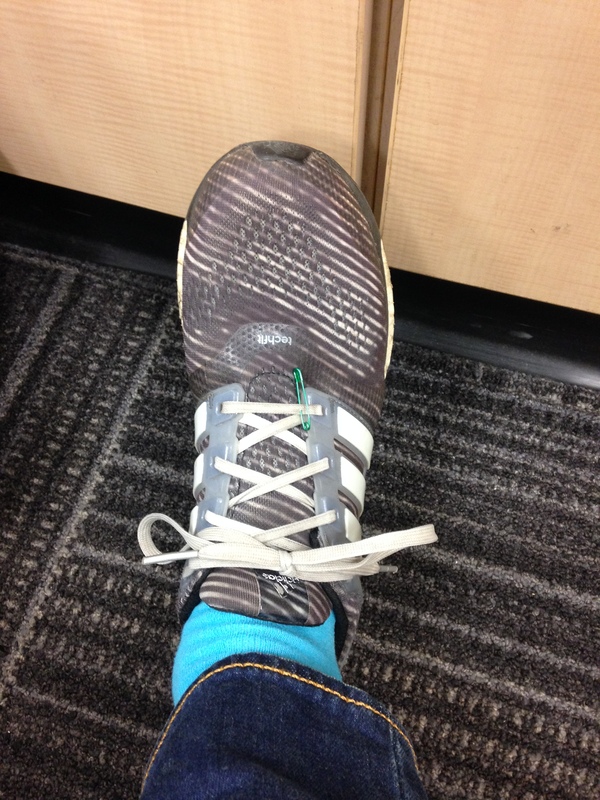 I also received a colored safety pin from Liysa, who advised me to pin my shoe so that if I felt beat up and in pain during the marathon, I could look down and channel the spirit of NP_NYC. Amazing! I have already pinned my shoe. Thank you, Liysa! I know you’ll do great on Sunday. 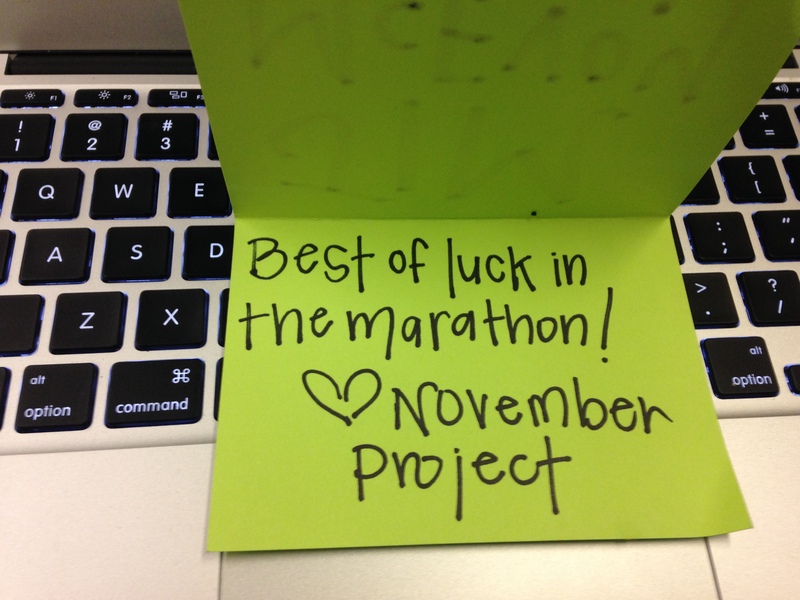 NP_NYC is running #Mile7 of the NYC Marathon. I don’t want to spoil the surprise, but the Tribe will be loud, supportive, and ready to rock all day. So excited to run through there and throw down lots of high fives and smiles.